We help you design the life you want, through training that speaks to you. Professional development is one of the most critical activities that any business owner should undertake. Sadly, it’s one that often gets pushed to the side in the hustle of everyday life. The Catch-22, is that improving your business knowledge and processes takes time and commitment – but the payoff is more time. More time to build your business. More time for down-time. More time to dream. What is the key driver of every business on the planet? … marketing. The Marketing Mastery program is designed for business owners and their teams who want the knowledge, tools and templates to create robust marketing that gets results for the long term. The program is broken into 6 modules which are a combination of online video, workbooks and templates. The modules are structured to walk you through from beginning to end all you need to develop a strong marketing presence. Supplementing the online component is a monthly conference call that is your opportunity to have your questions answered and to learn from others. These calls are recorded so you can always access the archive. Here you will learn how to put a campaign together. In order to get results from your marketing efforts, certain key components must be present in every campaign. This module walks you through, with detailed templates, how to get a campaign designed and written so you are ready to execute. By the end of this module you’ll be ready for the rubber to hit the road and DO some marketing. 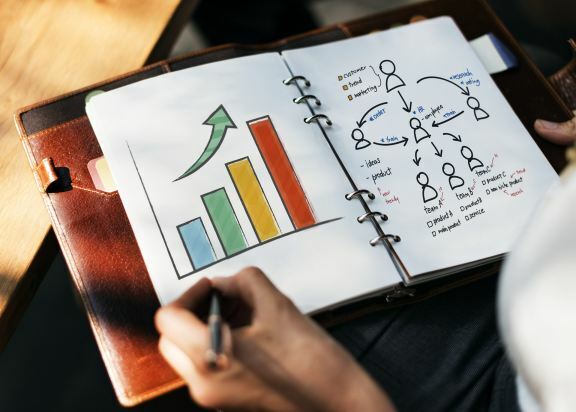 Now that you understand the foundation to your marketing and you know how to put a campaign together, you are ready to deepen your knowledge around the 7 best marketing vehicles for generating results. They are a combination of traditional and online vehicles. There is a lot to learn here and this will be a module series you’ll be returning to time and time again. Throughout the first 5 modules, you have learned a ton. With so many tools it can become confusing as to how to organize it all in a way that puts you in control – Enter ‘Your Marketing Calendar’. This module walks you through a methodology of planning your marketing so you always have a 6 – 12 month rolling plan that enables you to see what and how much you are doing. It also gives you a snap shot of your marketing budget. All this will be presented in a one page format so you and your team will clear and in control. Having this kind of plan also enables for easy delegation. When you invest in this program you have it for life. You are buying it for your business so you can have each person involved in marketing participate at any time. Not knowing the numbers behind your business is kinda like driving a car with a blindfold on. You simply can’t know when you are on track or not? Do I understand what drives my profit? Am I able to forecast my cash flow? Do I track my key numbers minimum monthly? If I wanted to increase my profit by 30% do I know the best way to do that? These are just a few of the benefits of being adequately financially literate. As a business owner, you don’t need to be at the level of your accountant, but you do need to interpret what your accountant is telling you are know the right questions to ask your accountant. You also do need to be able to look at your financials independently and make informed decisions without relying on an outside ‘expert’ to guide you. The financial performance of your business is your responsibility. And to ensure good financial performance you need at least a base level of financial literacy. The program is broken into 3 levels so you can learn at the level that suits you. If you are just starting out then, level 1 is a good place for you. If you are a few years in and know financially things need to change, Level 2 is what you need. And if you consider yourself at least moderately literate, then Level 3 is going to be the best fit. All levels are delivered online with a combination of video instruction and templates.